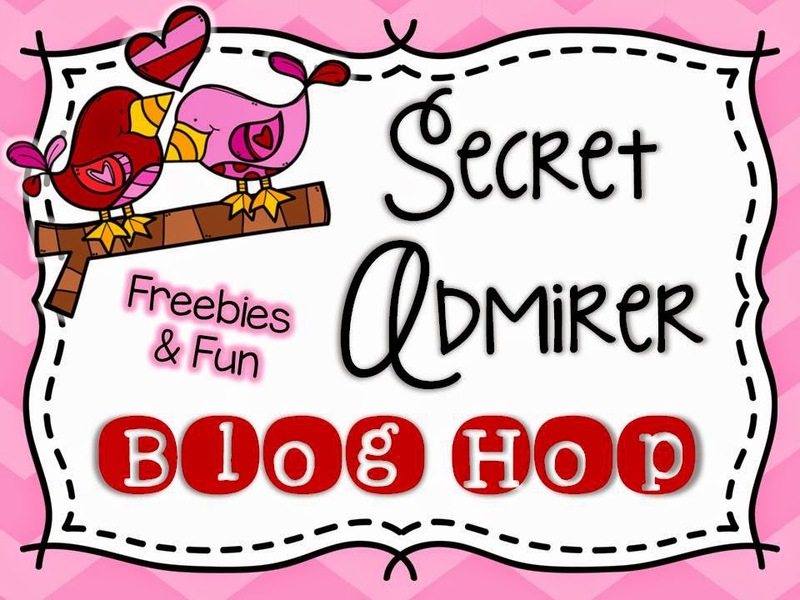 Primary Possibilities: Secret Admirer Blog Hop! I am teaming up with my friends over at Elementary Entourage for a fun link up! We are all offering up a Valentine Treat or Card Freebie Printable for you to grab up just in time for Valentine's Day! 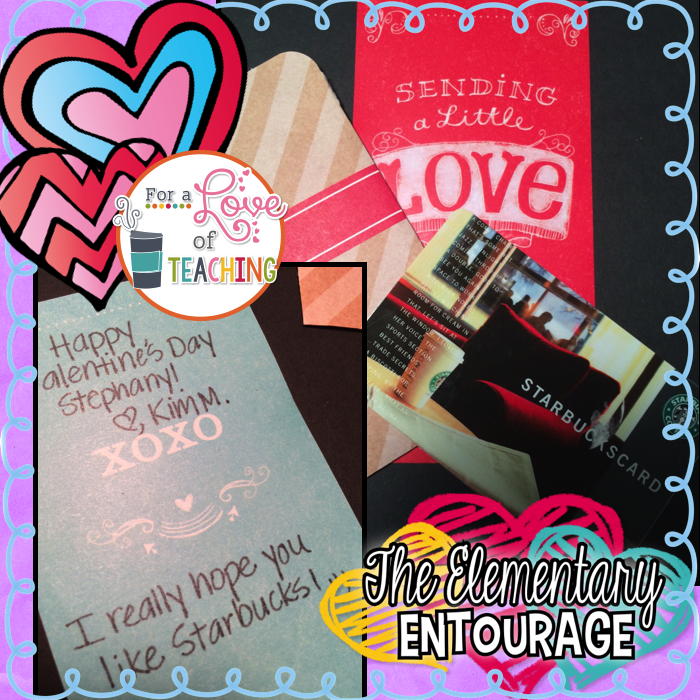 We all exchanged some gifts via the old snail mail to brighten each other's February and I was lucky enough to get a great gift card from Kim over at "For a Love of Teaching"...we share a love of coffee! I can't wait to break into this with an iced Caramel Macchiato! 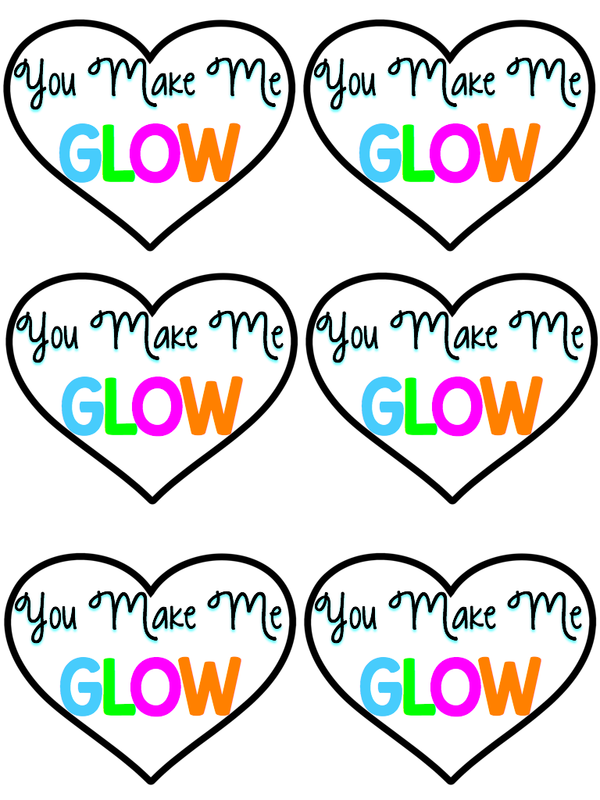 My Valentine's Day card is sure to make you "GLOW"! 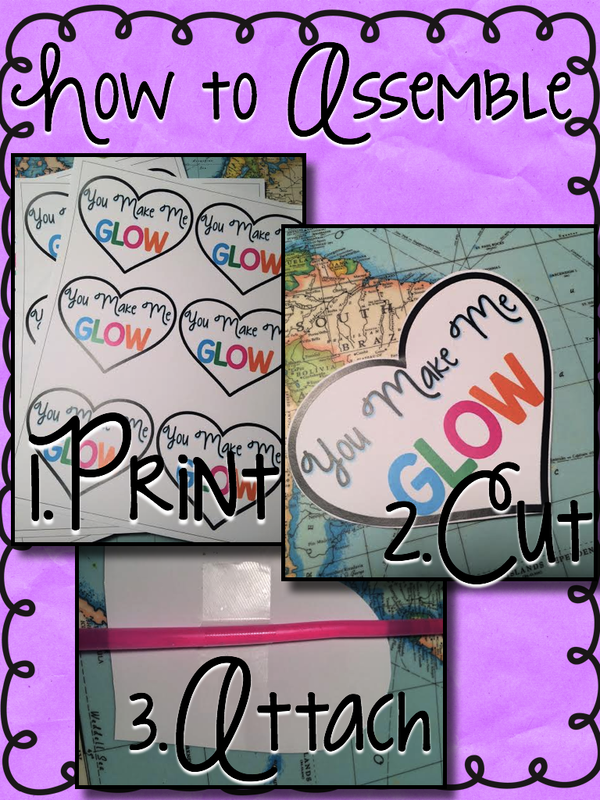 All you need to do is print, cut and attach a glow stick and you are as good to glow go! It's light on the colored ink and there are six to a page. You can tape the glow stick to the back or use a hole puncher to make two holes and "thread" the glow stick through the holes. Kids love glow sticks! You can download the freebie by clicking on the image below! Make sure you check out the other downloads offered to find the perfect Valentine's Day card for you! Love your sweet and simple valentines. What kid (or adult) doesn't love glow sticks! I did this last year, and the kids loved it, but my cards didn't look as cute! :) Glow sticks are so much fun! So cute! 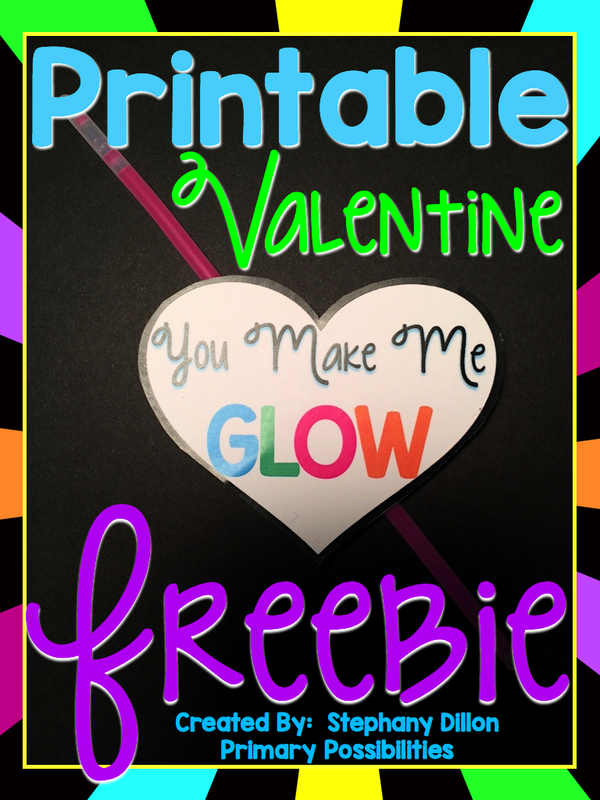 I might give this to some of my kiddos... the others might try to eat their glow sticks LOL it could end in disaster, but the ones who can handle it are going to looove it! Thanks! I am just glowing!! Thank you soo much!!! LOVE this!! I love that this card is usable for any time of the year!! Thanks so much. Wow! Kim has such pretty hand writing! I really love your glow stick idea! So cute!! I love theses cards! Glow sticks are so much fun!! Cute! Cute! Cute! Loves these. Thanks! Super Hero Sale Products for Super Hero Teachers!